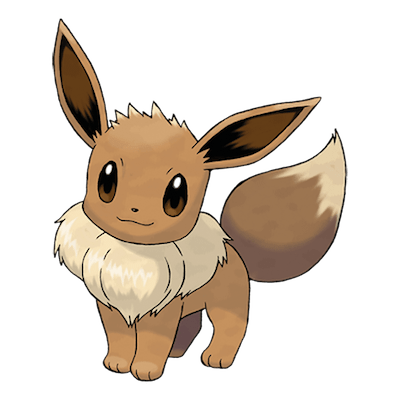 Read this Pokemon Let's Go Pikachu / Eevee guide on which Pokemon are the best Pokemon to have early on in the game! 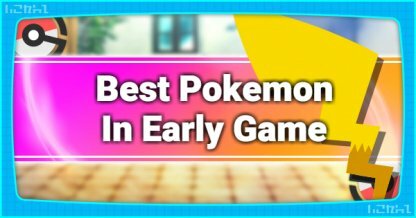 Your partner Pokemon are very special - they have better stats & learn moves faster than their normal in-game counterparts. Check Out Differences in Pikachu & Eevee! 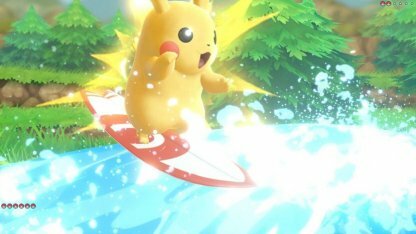 Pikachu and Eevee have exclusive elemental moves that they can execute, making them highly versatile when fighting Pokemons of any types! Don't forget to use them when they pop up on your screen! 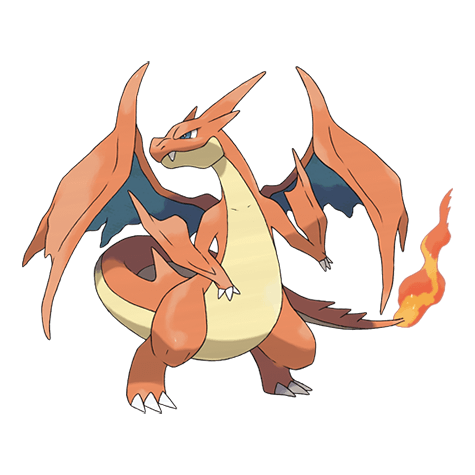 Out of the 3 Kanto starters, Charizard has the strongest attack power. 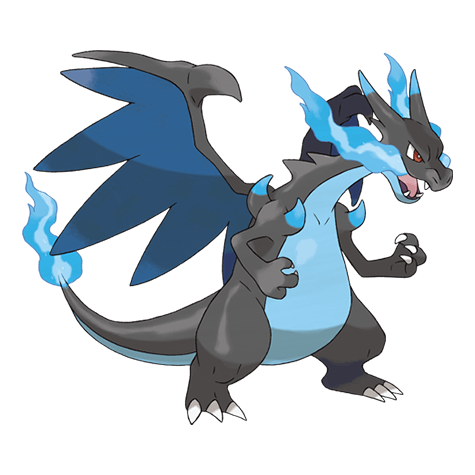 He has massive Fire attacks that can instantly topple Pokemon weak to this element. You can get a Charmander from an NPC in Route 24/25. He'll give you the Pokemon if you've capture up to 50 Pokemon. Check Out Vermilion City Walkthrough & Guide! 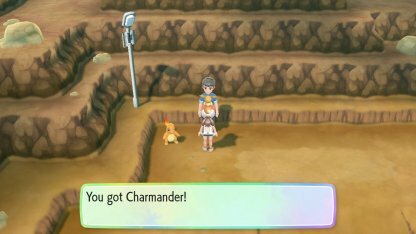 You may also look for wild Charmander in the Rock Tunnel. The spawn rate of Charmander is extremely low; be patient when you're hunting for them! 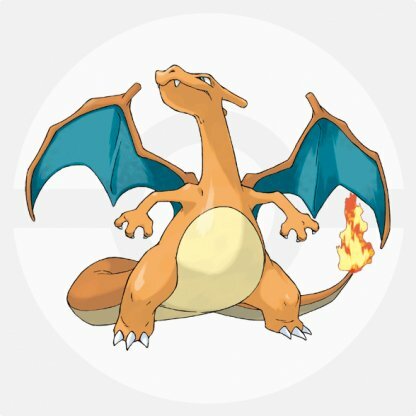 Aside from having the strongest attack power, Charizard is also capable of two Mega Evolutions - Charizard X & Charizard Y. This makes him a powerful contender in the game. 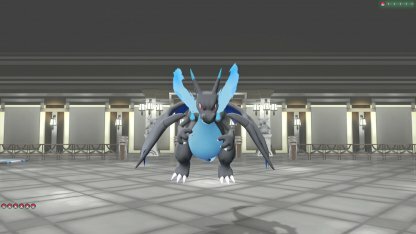 Check Out Mega Evolution Info Here! The Starmie can be really speedy in attacking and if leveled up properly, will mostly always be the first to attack. It can also learn Electric & Psychic Type moves, making it effective against other Pokemon. You can find or capture a Staryu underwater in Routes 18, 19, & 21. 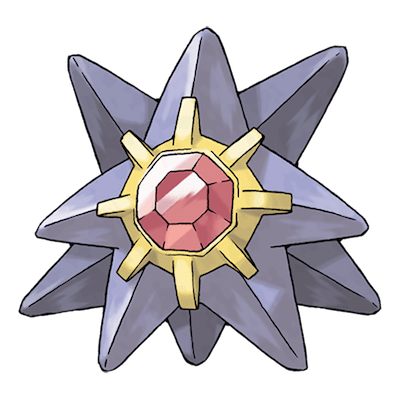 You can evolve your Staryu into a Starmie by using a Water Stone. Check Out Saffron City Walkthrough & Guide! 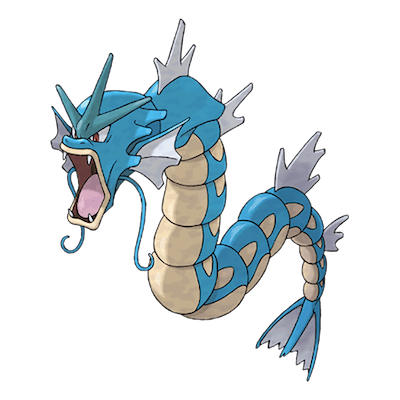 A highly trained Gyarados can deliver a multitude of attacks in different types. Bite at Lv.20 is a Dark Type while he also has Ice Fang & Dragon Rage. You can evolve a Magikarp to Gyarados at Lv. 20. To catch a Magikarp, surf around Route 20. Check Out Cinnabar Island Walkthrough & Guide! Dugtrio, though mostly being a Ground Type, has high speed base statistics and can learn Dark Type moves - useful against Ghost or Psychic Pokemon. 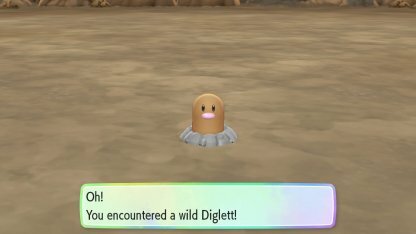 You can catch a Diglett inside Diglett's Cave to the east of Vermilion City. 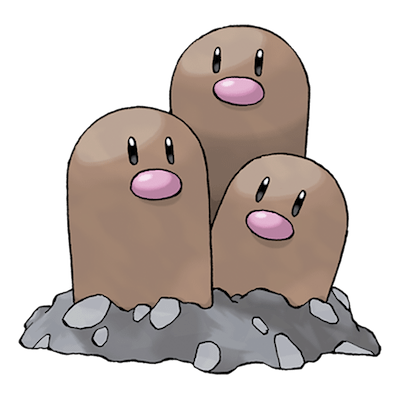 Dugtrio evolves from Diglett at Lv. 26. Check Out Celadon City Walkthrough & Guide! 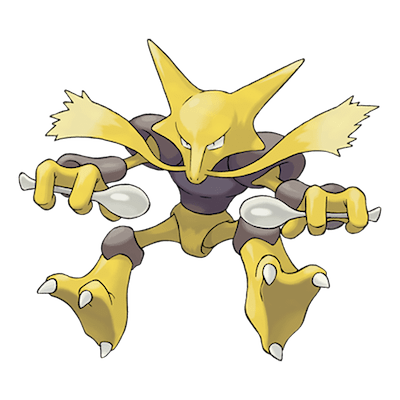 Pokemon that are weak to Psychic can easily be disposed of by Alakazam. He attacks fast & his attack power is very high, making him a good option for quick, merciless victories. Abra can be caught in Route 5-8. The only way to evolve a Kadabra to an Alakazam is to trade it with another trainer. 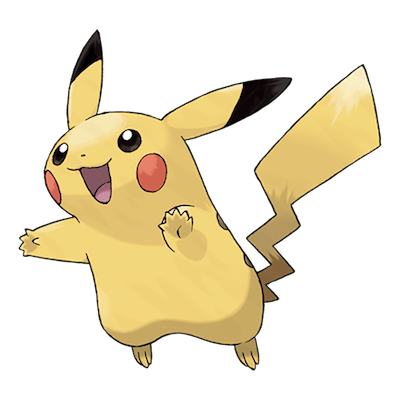 Check Out Pokemon Evolving By Trading!